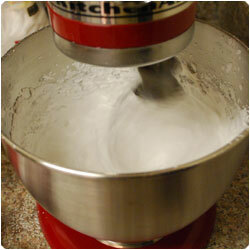 - a standing mixer (optional) but since you need to whip the egg whites for a long time it helps a lot! 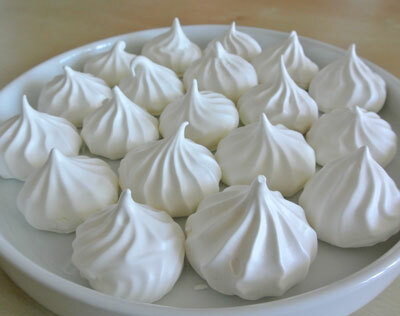 Note: if you have a different amount of egg whites, usually you can calculate the amount of sugar as the double of the weigh of the egg whites. 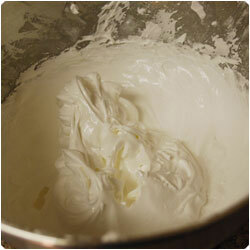 Separate the yolks from the egg whites. 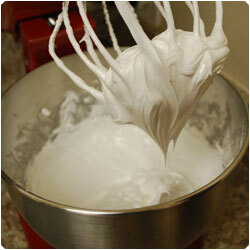 Beat egg whites until stiff peaks form. 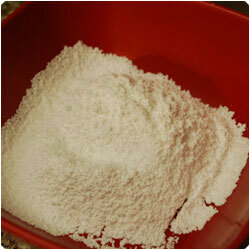 Sift the powdered sugar. 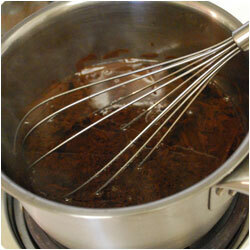 While mixing add one spoon by one spoon the sugar. 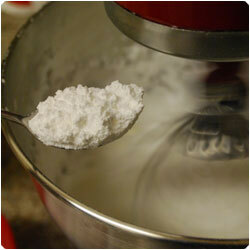 Leave the mixer on always and beat the egg whites to incorporate the sugar before adding a new sugar spoon. 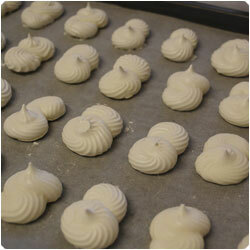 This process takes a lot of time but is the key of the meringues! 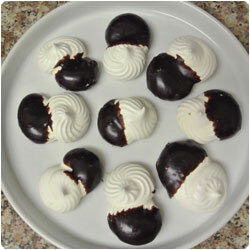 Be patiente and add the sugar little by little. 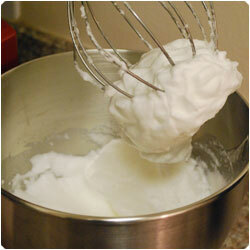 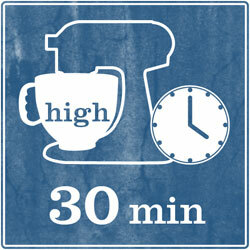 You can beat the egg whites also for an hour and they will be even better. 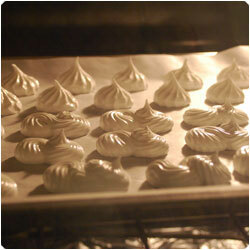 Fill the bag with the egg whites mixture and in a oven tray with baking paper make the meringues. 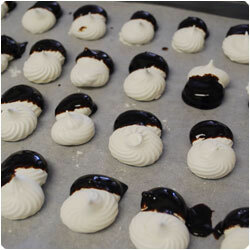 We made them star shape and S shape (to deep in the chocolate later). 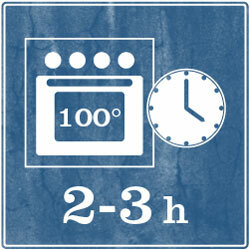 Cook in the oven for at least 2 hours at 100°C (210F) checking them every 30 min after the fist hour. 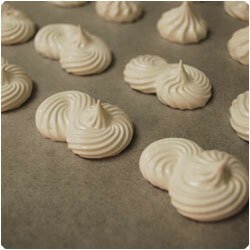 The meringues don't need to cook, they need more to dry in the oven. 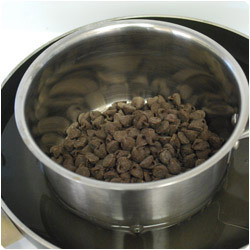 If you put the temperature higher they will start to become brownish outside and will ramain uncook inside. 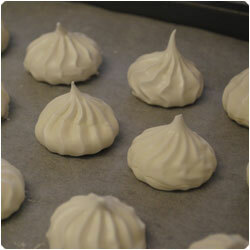 To check them: take one meringue out of the oven, let it cool for few min and then cut it in half. 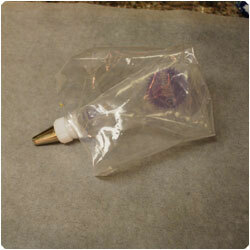 The inside part should be hard as the outside. 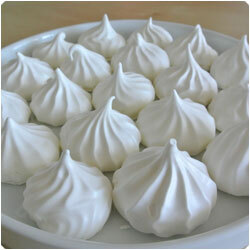 If you want to eat it it has to melt in your mouth and not form a sticky ball that will attach to your teeth. 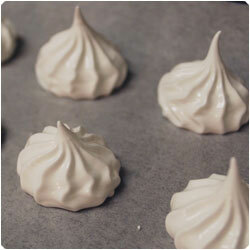 When they are cooked let them dry at room temperature. 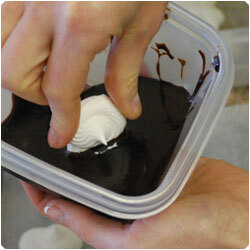 If you want to soak them in chocolate: Melt the dark chocolate and add one spoon of water if the chocolate is too dense. 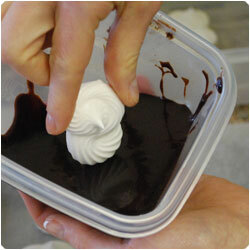 Holding the meringue with your hand dip half of it in the melted chocolate. 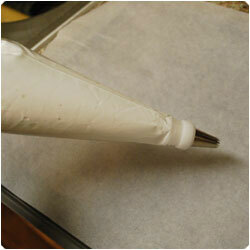 Place them on a baking paper sheet and let the chocolate cool at room temperature. 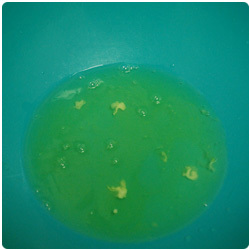 Serve cold. 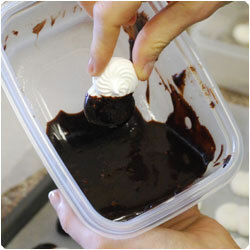 Keep them in a tupperware for later.